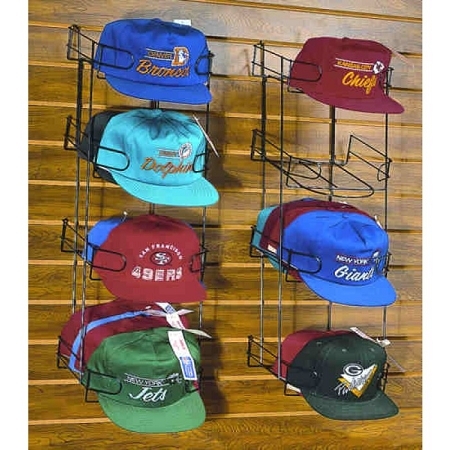 Get just one—or attach four to your slatwall to create an impressive cap department. Each rack holds three to four dozen caps. Black finish.